According to ecstasydata.org, a round, blue tablet resembling a pharmaceutical pill was sourced in Houston as Roxicodone (oxycodone) but tested positive for fentanyl. No oxycodone was present in the sample. 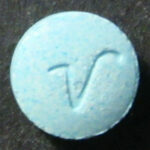 The pressed pill has a ‘V’ marking on one side with ‘48 | 12’ and a score line on the reverse side. 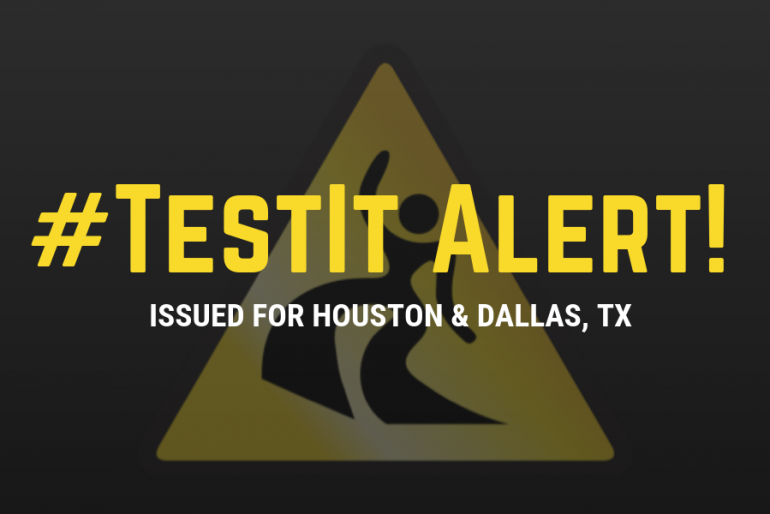 The pill was submitted to ecstasydata.org from Dallas, TX. The sample did not react with reagents (meaning there was no color change). The sender notes that they are “unsure if [the sample] is active,” but that they thought it was. This information indicates that the fentanyl is potentially unevenly distributed within the batch. Fentanyl is active at low doses, and because the pill tested positive for fentanyl, it is likely that the fentanyl was mixed unevenly in the batch. This uneven adulteration is what DanceSafe calls “the chocolate chip cookie effect.” This illustrates why it is important to test the entire pill or bag when testing for fentanyl–one side of the pill (or baggie) can contain no fentanyl at all, while powder from the other side of the pill could contain a dose strong enough for overdose. We urge our community to keep in mind that drug markets are expansive and that this counterfeit Roxicodone pill may appear in places other than its source and submission location. Test before you ingest to avoid taking misrepresented substances, and so you can adjust your intention, set, and setting appropriately to minimize risks. You can purchase fentanyl test strips here.